There’s an old saying, if you want something done, give it to a busy person. Amy Whitten is your woman. The Masters of Occupational Therapy student is in her fourth and final year at La Trobe. And she’s just teamed up with a couple of local mums to open their own business. 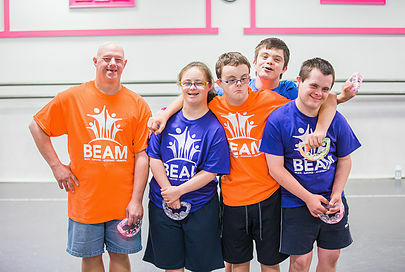 BEAM Bendigo is a not-for-profit all-abilities dance group designed around neuromotor exercise techniques. 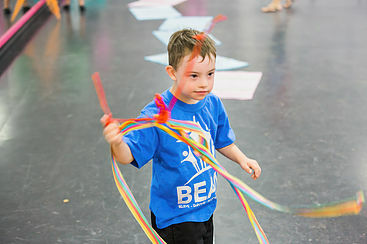 In short, it’s giving some very special local kids the chance to get their groove on in a supportive, inclusive environment. 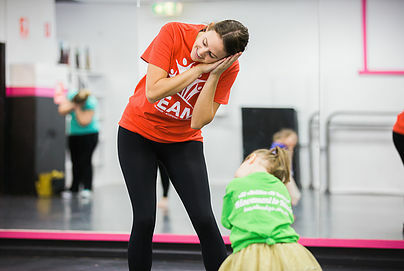 Amy says the idea arose after she began teaching dance with a Melbourne-based company last year, which offers dance classes for children with Down Syndrome. It’s resulted in Amy’s dream job, although she never could have predicted what that would look like when she enrolled at university. After graduating from Goulburn Valley Grammar in Shepparton, Amy took a gap year to study dance in Melbourne. At that stage she was torn between beginning an OT degree and pursuing the competitive world of professional dance. She spent six months with Patrick Studios Australia and six months with Dance Factory. “At the end of that year I was stuck again on whether to continue dance or come to La Trobe to study. But I really like learning new things and helping people. “In the end I thought dancing can be such a cut-throat industry. I didn’t really feel like I had the competitive nature to make a career out of it. 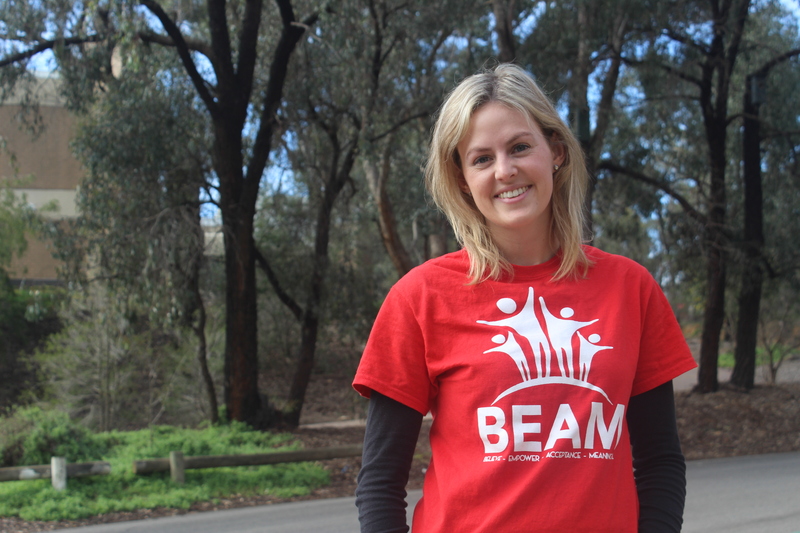 “I grew up as a classic ballerina in Echuca, but I also always wanted to do something in health. My mum is a nurse, but I knew I couldn’t do nursing as I faint at the sight of blood. I was really drawn to OT because it’s such a varied field and because you’re working to help people get back to what they love doing. 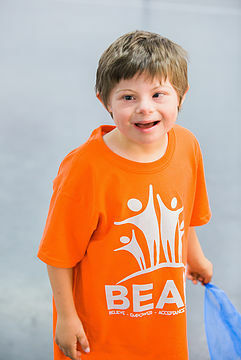 Although BEAM is new, already there’s a waiting list for some classes. Amy is juggling her final studies with part time work as an after-school carer at the Echuca Special School, and her BEAM classes. “I love being busy and I think that’s why I’m driven to do this as well,” Amy says. So far around 30 children attend classes two evenings a week at a church hall in Keck Street. Music is chosen to engage the kids, and as such, Disney’s Frozen soundtrack is getting a good workout right now. Amy doesn’t mind. “It’s amazing. 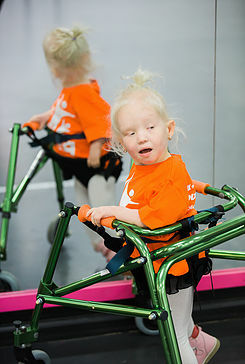 To see their smiles is amazing,” she says. BEAM stands for values, believe, empower, acceptance and meaningful. They’re aspects that ring true for all involved. Such a wonderful article Amy, you’re achievements and commitment are amazing. Amy you are an inspiration. It was just wonderful to see how you worked with my grandchildren, and all the other children of course, when we visited earlier this year from Wales.